WESTMINSTER, Calif. – A striker was arraigned Friday, July 22, 2016, for the robbery of five Fountain Valley grocery and drug stores by threatening cashiers with a firearm. John Allen Wagner, 48, Westminster, is charged with five counts of second degree robbery. Wagner faces sentencing enhancement allegations for two prior strike convictions for residential burglary in 1987 and federal bank robbery in 1991, both in Orange County. If convicted, Wagner faces a maximum sentence of 175 years to life in state prison. The defendant is being held on $1 million bail and must prove the money is from a legal and legitimate source before posting bond. He is scheduled for a pre-trial hearing on August 1, 2016, at 8:30 a.m. in Department W-2, West Justice Center, Westminster. On Feb. 8, 2015, Wagner is accused of entering an Albertson’s grocery store in Fountain Valley and approaching a cash register with a bottled beverage. As the cashier opened the register to complete the transaction, the defendant is accused of lifting his shirt to reveal a firearm in his waistband, placing his hand on the grip, and demanding the cashier give him money from the register. The defendant is accused of fleeing the scene before police officers arrived. On Feb. 17, 2015, Wagner is accused of robbing a Rite-Aid store in Fountain Valley by approaching a cash register, grabbing his waistband, and demanding the cashier give him all of the money in the register. The defendant is accused of fleeing the scene. On April 23, 2015, the defendant is accused of robbing a Walgreens store in Fountain Valley and fleeing the scene. On May 25, 2015, the defendant is accused of robbing a separate Albertson’s grocery store in Fountain Valley by showing a cashier a firearm in his waistband and demanding all of the money in the register. On July 20, 2015, Wagner is accused of walking to a check-out line in a separate Walgreens store in Fountain Valley, displaying a firearm in his waistband and forcing the cashier to give him money. Wagner is accused of reaching over the register to grab more money from the register before fleeing the scene. 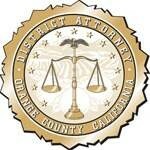 On July 20, 2016, the defendant was shopping at a Ralph’s grocery store in Fountain Valley when a customer recognized him as a suspect a local robbery. The customer called the Fountain Valley Police Department (FVPD), who located the defendant driving away from the store and initiated a traffic stop. At the time of his arrest, Wagner is accused of being in possession of a BB gun resembling a firearm and articles of clothing consistent with those seen on surveillance video of the robberies. FVPD arrested Wagner on July 20, 2016. Deputy District Attorney Jess Rodriguez of the Special Prosecutions Unit is prosecuting this case.